I am an Artist, Writer and Poet. I enjoy many forms of the artistic realm. I also enjoy trading ATCs, Decos, Happy Mail, Art Journaling, Junk Journaling and Mixed Media Art. I am a good hearted & honest person. I am always on time with my swaps. I usually send them with a tracking number so I can make sure others receive them. If you have a problem, please contact me and I will be happy to resend a swap if necessary. Comment: Thank you for all the little things you included in the Happy mail. Comment: Thank you so much for all the goodies, Tonya! Comment: I always love the fantastic packages you send! Thank you so much! Comment: Thank you for resending! This was fabulous. Comment: Thank you for the stickers, cutouts, and ephermera! Comment: Love the burlesque raffle tickets!! And the vintage stuff! Comment: Thank you for all the wonderful goodies and taking the extra time to match everything perfectly to my profile! Comment: Thanks fur the fun goodies! Comment: Wow! This box is stuffed to the top! Thank you. Comment: Thanks for all the goodies, I can't wait to put them to good use. I love the small book pages, so fun!! 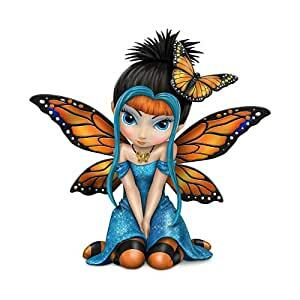 Quick and easy profile message #15 I love butterflies and fairies! Enjoy. TGIF! Here's hoping that you have an amazing weekend ahead of you! I also share your love of butterflies, dragonflies, Birds, Owls, WASHI (I'M ADDICTED! ), fairies, Sanrio/Kawaii, Alice & Wonderland (I just got the cutest stamp stickers through Etsy! ), Cute/fun stationary >> I'm always on the hunt, even though I have boatloads of it! Hello :) Have a nice day, it'll be Chinese (Lunar) New Year to me soon, here in Hong Kong, China, so happy new year as well. I'm running a biblical swap from 2/7 to 2/28 you should come out and try it. its a stage 3 swap. I'm Lisa. I love kawaii, sanrio/san-x characters. I work at a japanese dollar store where i get to be immersed in kawaii and handy goods. I'm not a religious person but I'd like to wish you good health and positive vibes.